I had always wanted to go back and do the Tour de Bintan race for the past several years but always ended up doing something different like the 7-day Tour de Formosa race in Taiwan followed by the KOM Taiwan Challenge in 2012. I was invited to go back and do the KOM Taiwan again, but chose to do Tour de Bintan instead as it more suited my abilities as a rider. 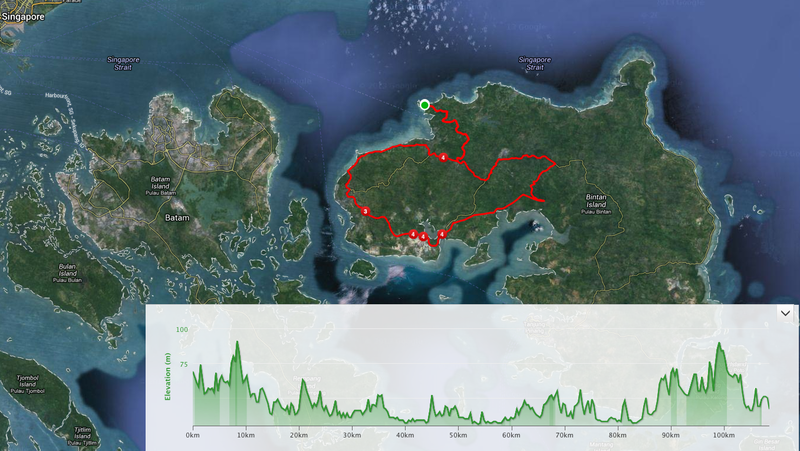 I first competed at the Tour de Bintan event in 2010 as a Cyclingnewsasia cycling journalist, my report can be found via this link: Cycling Tour Bintan Island. Also check out a 2010 report on Cyclingnewsasia. Read about Tjarco’s 2013 report here. 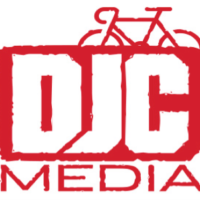 I came back this year together with my wife, Jennifer Carruthers to help Tour de Bintan with media exposure for the event with Jennifer on the back of a motorbike and myself riding in the category one peloton. I had a friend from Shanghai, Taylor Price, who was hoping to secure a podium spot and I would help help in any way I could. I had recently formed the Deaf Pro Cycling team a couple of weeks ago and was fresh from competing in some pilot races for the new team including an Invitational race in Jinjiang and China’s biggest amateur one day race in Thousand Island. 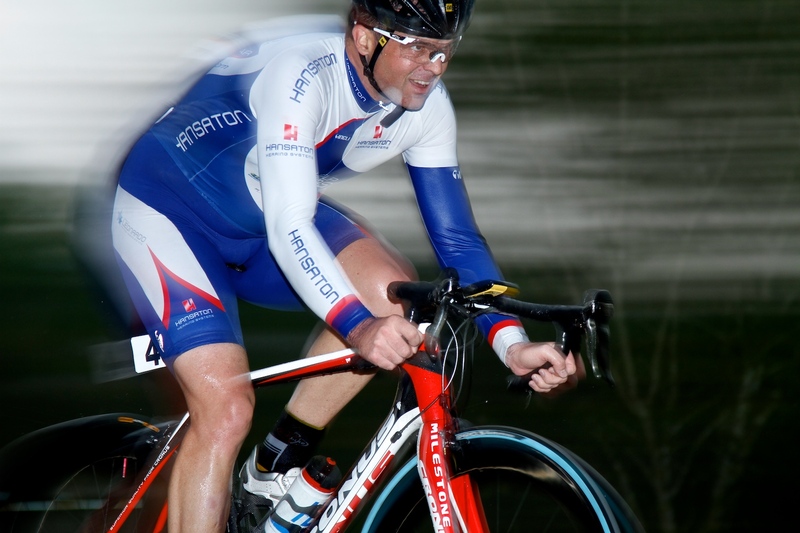 The press release can be viewed on CycleSportNews. My fitness was coming along quite nicely and the Tour de Bintan also served as my final hard training in the lead up to the Tour of Fuzhou UCI 2.2 race that starts this weekend! This prologue was a new addition to the event, introduced in 2012, and is welcomed by all riders. It provides a new dimension to the racing and gives the non-sprinters a chance to excel and establish an early advantage. Time-trialing is not my forte, so I ended up placing 21st out of 53 starters in the elite category with a time of 17:22 over the 12km in pouring rain. I started out of the gates reasonably well, but on the first little rise, I had a mini explosion from which I was never really able to recover from. I was never able to get on top of my gear and was subsequently caught by my 30 second man Fred Clatworthy from DirectAsia.com just after the half-way turn around point. My average power for the time-trial was 345 watts. Taylor Price (Specialized) put in a blistering effort to post 2nd fastest time of 16:31 and averaged only 310 watts. That says something about the weight difference and aerodynamic benefits! Only six riders went sub-17 minutes. So my time of 17:22 was not too shabby and only a handful of seconds behind a whole cluster of riders. 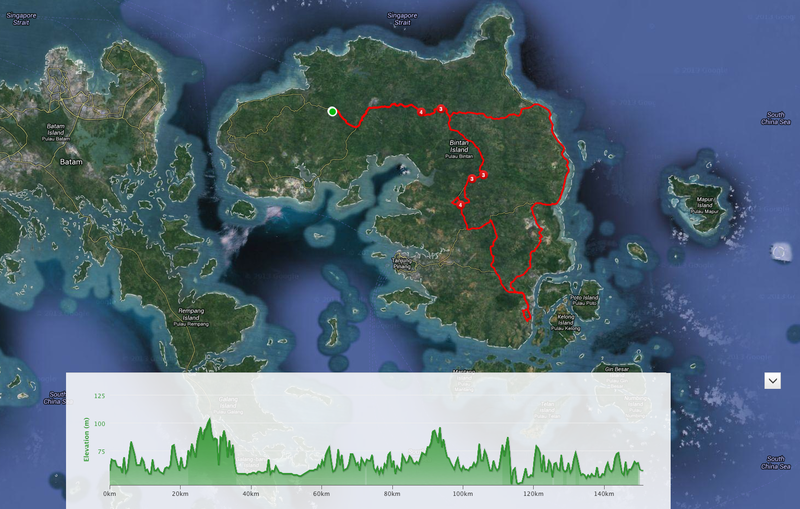 This is the Queen stage at Tour de Bintan which sees an elevation gain of almost 1,400m, but what is more telling is the highest point is only 70m. That means there are countless small hills hills to power over and at the business end of the race, those hills separate the contenders from the pack fill. 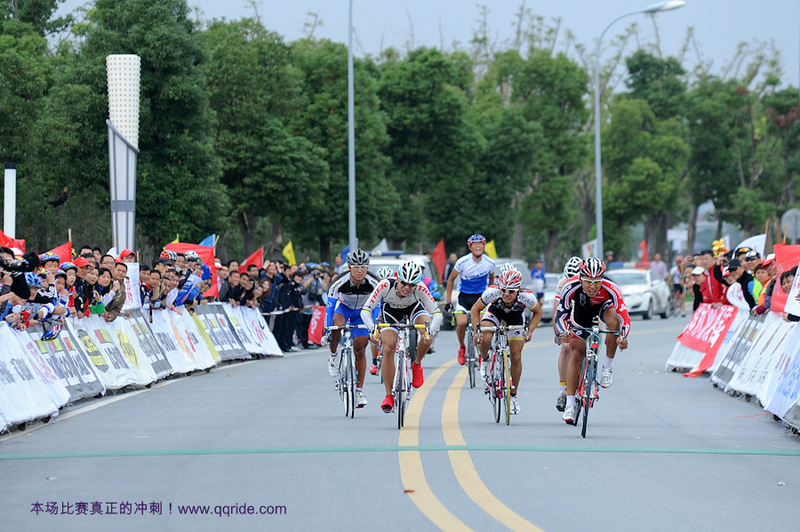 Last time I did this stage in 2010, I had made the winning breakaway but got dropped out of it due to cramps. This year, I rode more conservatively in order to save the legs for later in the stage. I also resorted to sucking my own salt from my forearms whenever I felt the tightening sensations, I believed that this helped my case! Nothing was allowed to get away till just before the first Sprint Ace. A group of six were allowed to roll away, much to my surprise, containing two Specialized Confero Mavericks and a couple of Indonesian local riders out to claim Sprint and KOM points. Eventually DirectAsia.com got organized somewhat and I jumped in to help with a few turns on the front to make the catch with about 30km remaining in the race. There was still one lone Indonesian up the road and it was now pouring with rain, causing the roads to turn into raging rivers! You could barely see the rider in front of you. Going up the second KOM, Tjarco Cuppens sprinted to take 2nd, while I took third. It was a good feeling to open the legs up for this KOM sprint and I had more confidence to go harder. It was soon after the last KOM sprint that Tjarco Cuppens, the Dutch rider, put in several vicious accelerations that caused a big split in the bunch. With just 15km remaining, I had just made it to the back of the split containing 12 riders. Taylor Price had also just made it. With the electric pace we were doing, the riders behind were in trouble; however the front riders decided to sit up once Tjarco stopped his surge. This lull in the pace allowed the desperately chasing riders to re-connect with us. A few more moves went but nothing was sticking and once everyone realized it was going to be a bunch sprint for the win at the end, the attacking stopped and peloton rode in at a solid tempo. With just 10km to go, Taylor Price punctured. I had drifted to the back in case he needed my wheel, but Andre Jobmann was there quickly and got him the wheel change. I stayed at the back of the bunch that was now whittled down to 20 odd riders. With only 4km left, Taylor made it back to the group and it was my job to ensure he was in good position to finish well in the bunch sprint at the same time achieving a good result for myself. I got Taylor into position, 4th behind the front and was looking good till we got swamped just before the final bend with less than 500m remaining. 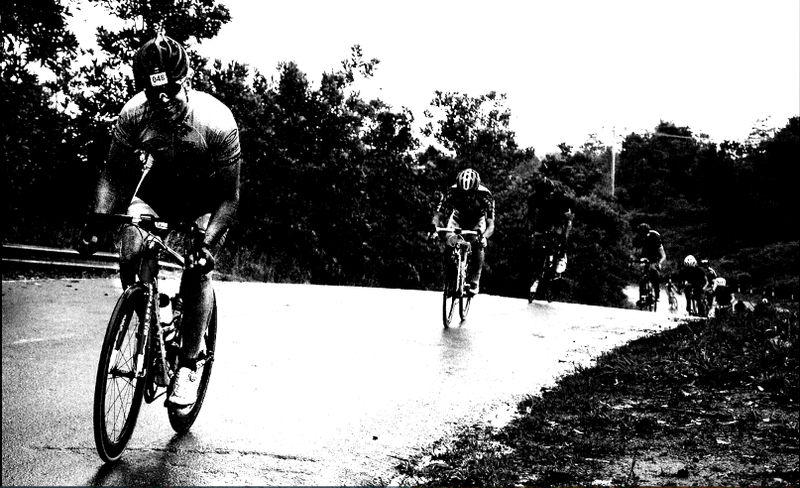 I had to wait for my opportunity to get out of the log-jam I was in, and finally a gap opened up on my left; quick as a flash accompanied with a gutteral roar, I was sprinting on the outside of the bend and was still 15 riders back with less than 200m to go. I put out more than 1300 watts to sail up through the field and nab 4th place, despite thinking I got third. 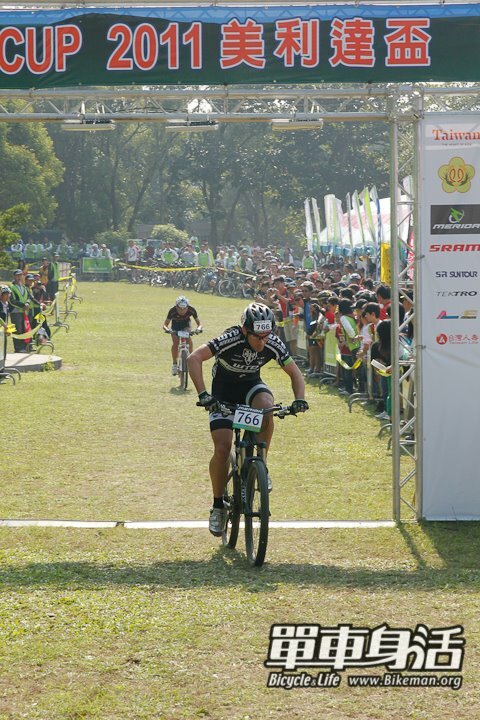 It was a photo finish between me and the Cannasia-Cannondale sprinter. He threw his bike, I did not! My two-second bonus moved me up to 13th overall on the GC standings. It was a very early start, at 7am, and I only had just five hours sleep having gone to bed at 1am. I had been working on the media press release and putting together photographs of stage two’s action. The internet connection is not the best. After the thunderstorms of the previous day, the 107km stage with 800m elevation gain got underway with persistent rain. There were a few attacks going up the road, but each time they came back. About 25km into the stage, I slipped off the front as I thought some Mavericks were up the road out of sight in a breakaway. I was joined by Cannasia-Cannondale’s Robert Hensby and Team Saxo Bank’s Takashi Miyazawa who is the ambassador of Tour de Bintan. We lost Hensby after a few pulls and I worked with the Saxo Bank Pro Tour rider for a few more minutes, but a motivated peloton would not let us get away. There was a rider in red up the road who was riding strongly plus I had mistakenly thought there were more riders up front. This was why I put out the efforts I did to bring back the “ghost” breakaway! Bastian Dohling from Specialized Confero Mavericks came up to me as the pack was closing, and we did a couple of pulls together but all it achieved was a strung out pack. When I stopped my efforts, the pack started to bunch up and take a breather. On the long false flat head-wind section, I took a long pull in the attempt to bring back the “ghost” breakaway and discovered that it was only one lone rider. All my efforts counted for nothing; at least I was making it a hard race for myself and increasing my fitness for the more important upcoming race in Fuzhou. Right when the Yellow jersey had a puncture, a small group of five riders going for the Sprint Ace classification sprung clear and got a good gap on the peloton that was waiting for the Yellow jersey to catch up. Again, I wasted some of my bullets when I sprinted for the Sprint Ace line, thinking there was two riders up the road and third place points were available. Peter Hope (Lapierre Asia Cycling) came up to me and said “lets go” so I gave another dig, but the pack chased and we were caught on the large bridge. It was at this point I decided to shut down and cruise in the pack and wait for the finish. Taylor came up to me and told me I must follow Tjarco’s wheel and ensure he did not get the 10 second bonus that was needed for him to come past Taylor on the GC as he was just 10 seconds behind. After a lightning pace was set up the final KOM, a breakaway jumped clear containing Direct Asia’s Fred Clatworthy, Confero Maverick’s Ben Arnott, Cannasia’s Kristjian Snorrason. Takashi Miyazawa (Team SAXO Bank) was also in the breakaway. 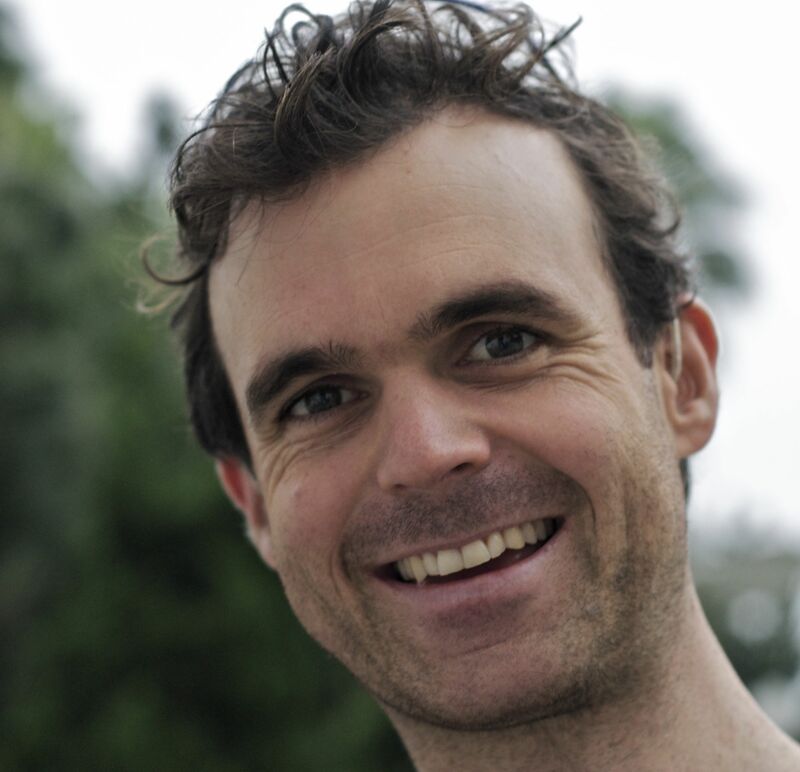 At this point, Taylor Price called for us to go on the front – Taylor had looked at Andre Jobmann to help with the chase efforts with just 8km remaining in the stage. I was also ready, poised to go to the front if Taylor had looked for me again. I was sitting in the pack, conserving and more importantly to follow the wheel of Tjarco Cuppens to ensure he would not get those 10 second bonus. It was also a catch-22 situation that we faced. If I got on the front and worked hard to catch the motoring breakaway, then it would make us vulnerable to Tjarco winning the stage and taking the 10 second bonus as he was clearly the man to beat in the sprint finale. So, in a sense it was also a good move to let the breakaway succeed but without too much time advantage and thus Tjarco would not get those bonus seconds he needed. Unfortunately, my following Tjarco around in the bunch in the final kilometers did not win any kudos and a questionable sweep across the road caused a couple of riders taking evasive action. I had no idea what was going on behind me as I sprinted in for sixth position just behind Tjarco and Matt Boys from Australia. I collided with no-one, nor did I hear the yells behind me, obviously. I don’t race with my hearing aids on. Communication with me in races can sometimes be a challenge for the other riders. At the end of the day, this is bike racing and at the business end of races crashes can result. I thought Anza Cycling’s Pierre aka Robocop, rode extremely well with just two team-mates at his disposal. 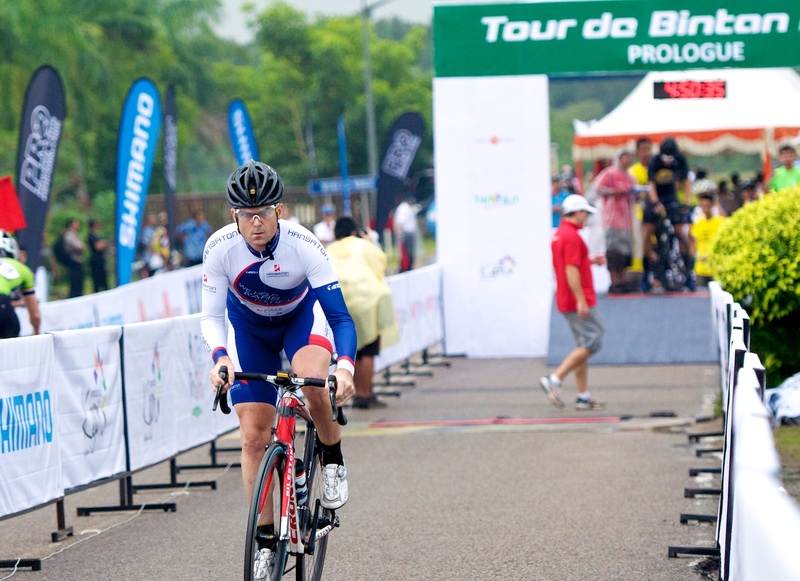 He closed a lot of the threatening moves himself and proved himself to be a worthy winner of the 2013 Tour de Bintan. I was surprised that the bigger teams like Neilpryde’s DirectAsia.com and Specialized Confero Mavericks did not ride more aggressively to take control of the race; they definitely had the fire-power and numbers to make the peloton suffer a lot more. 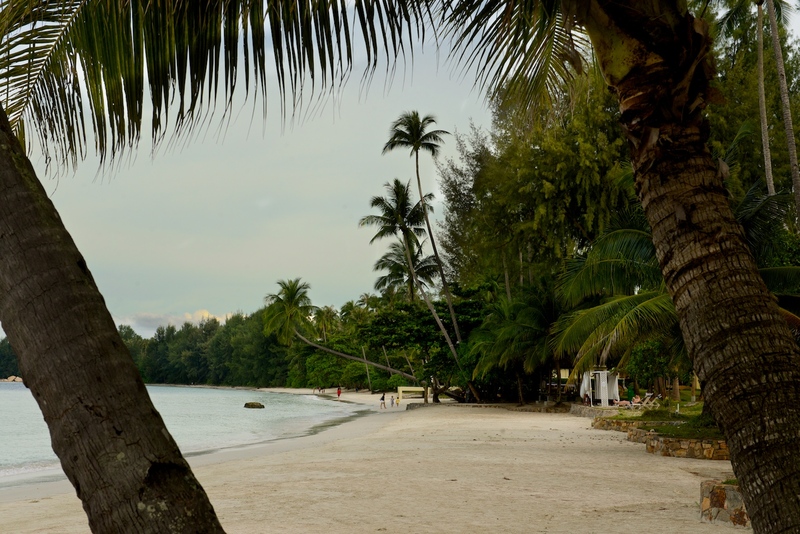 Its always great coming back to Bintan Island to race – the Tour de Bintan set in the Nirwana Gardens Resort make it easy for riders to relax and unwind in between stages with the great food and great outdoor setting with the tropical beach front. 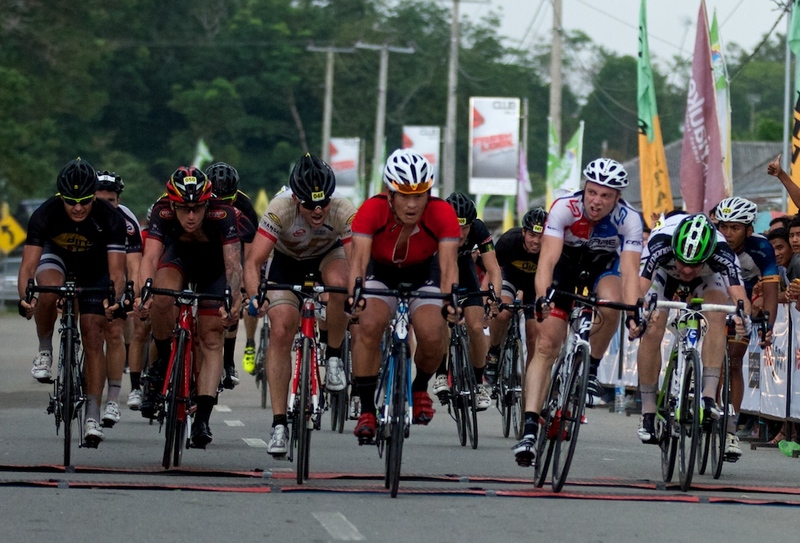 If you are looking for a good amateur stage race to do, Tour de Bintan offers some great racing and will be one of your yearly race highlights. 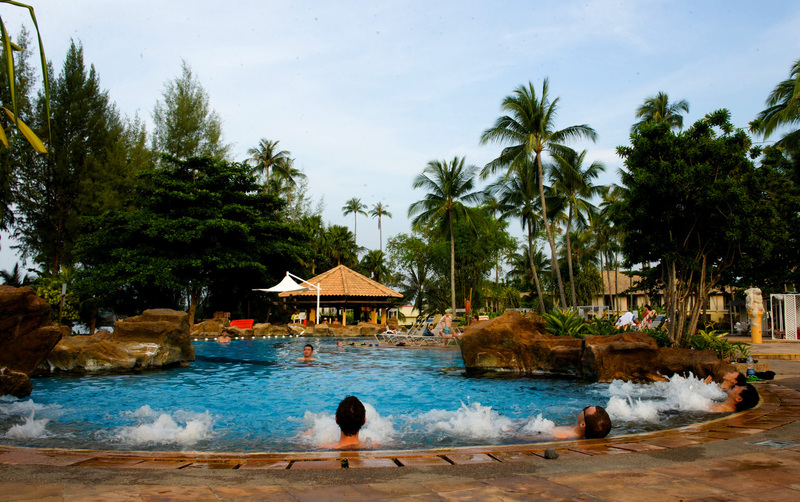 Beach-side at Nirwana Gardens Resort has some nice swimming!